Now, most probably the Flash player in YouTube will be replaced by YouTube’s HTML5 player as it has been improved with a lot of functions. 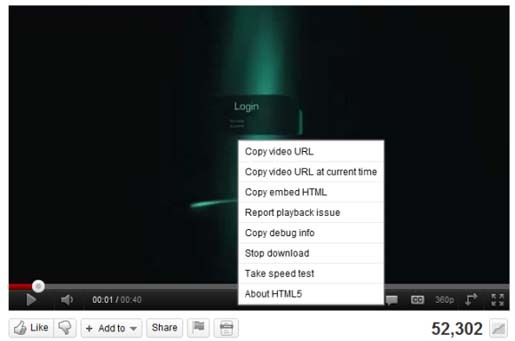 Here, you can annotate and enable captions as the contextual menu lets you copy the embedding code and the video's URL. Besides, YouTube now offers 480p and 1080p options for WebM videos and there's a native full-screen support if you use a Firefox nightly build or Chrome's dev channel. So many times, you might have noticed that embedded videos use the HTML5 player even if you’ve already installed the Flash Player and not enabled HTML5. Is this not really rocking?